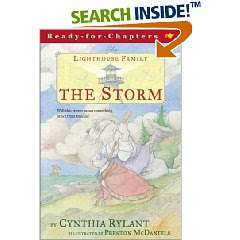 The Lighthouse Family by Cynthia-Rylant. We have just read the first two.....The Storm, and The Whale next up The Eagle. Although they are intended as a early reader, the series also works as a read aloud.